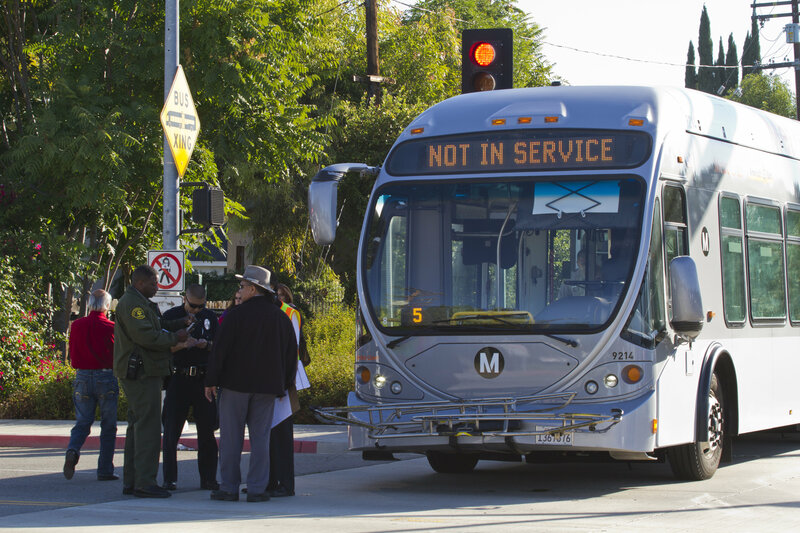 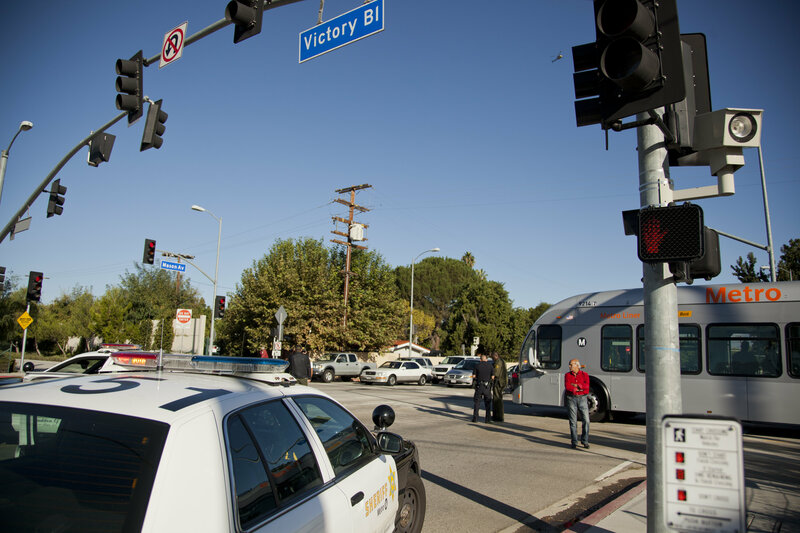 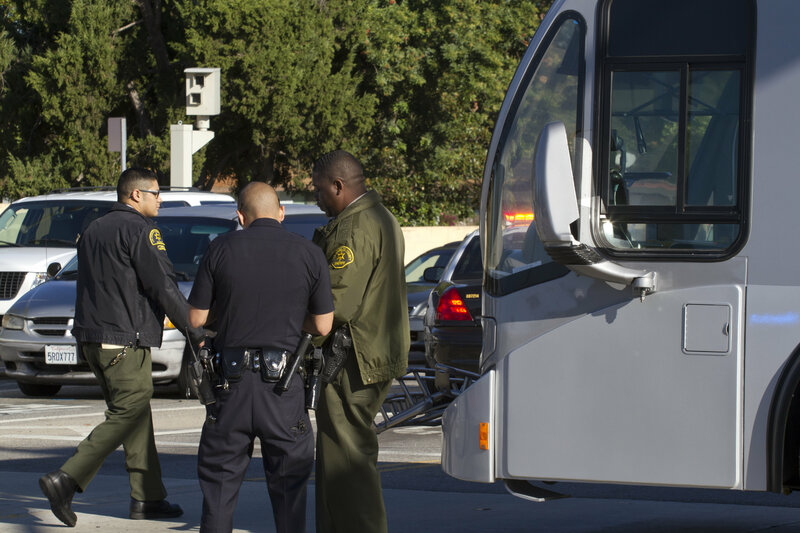 A car suspected of driving through a red light Thursday morning collided with a Metro Orange Line bus causing injuries to four passengers, three of whom were transported to local hospitals. 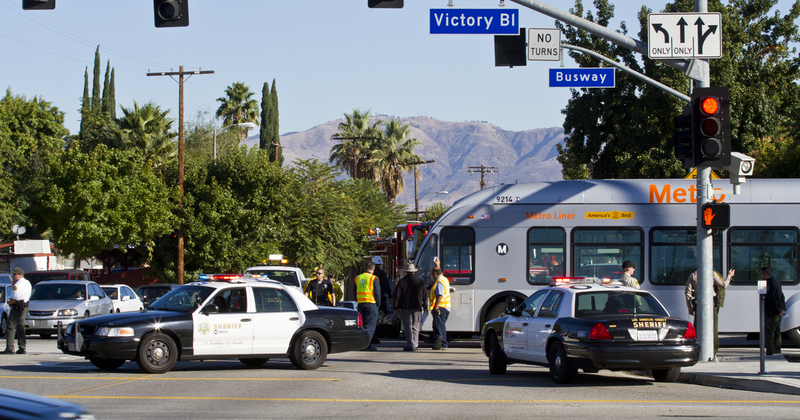 The accident occurred at the intersection of Victory Boulevard and Mason Avenue. 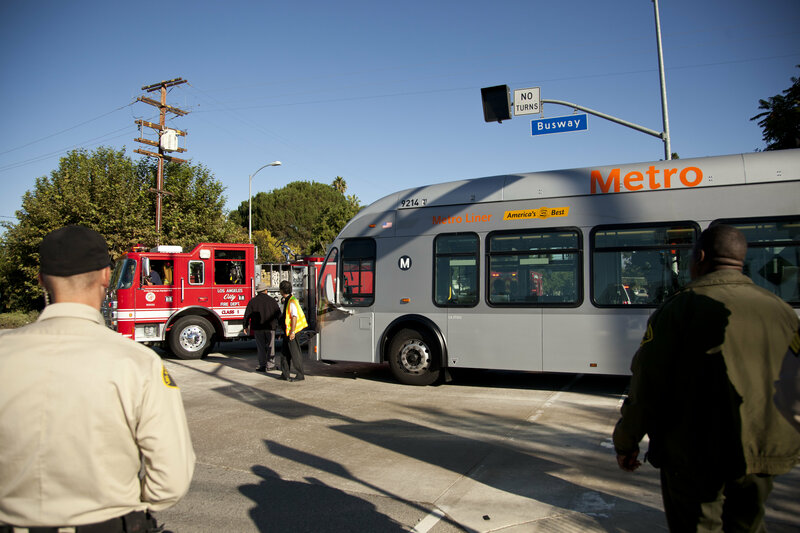 The accident, which is currently under investigation, did not disrupt service in either direction, according to Metro Transit Authority spokeswoman Gale Anderson.